We stayed one night here, on July 21st. On the way, we drove through Yellowstone, emerging in the touristy and overdeveloped town of West Yellowstone, Montana. It was quite a contrast to the emptiness and beauty of the Park. 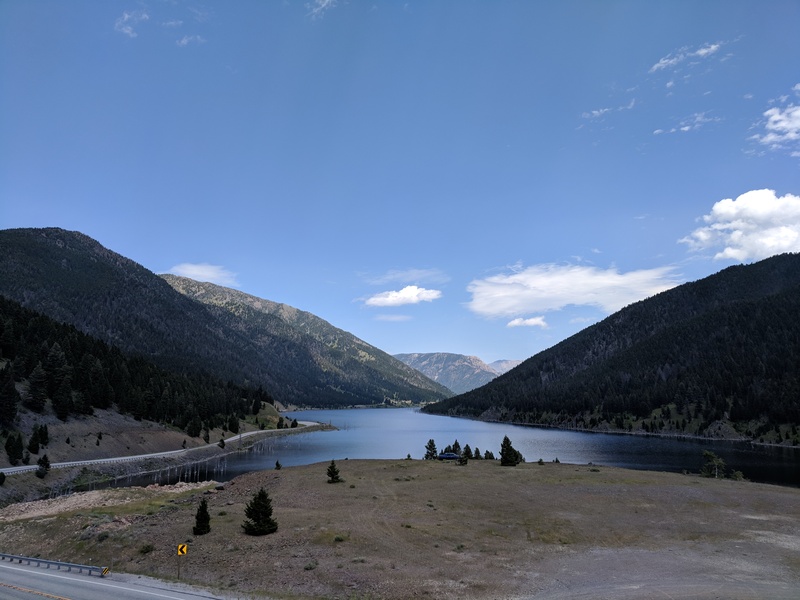 Just outside of town, we encountered Quake Lake, which sits in giant jagged hills and was formed by a massive earthquake in 1959 in which 28 people were killed. The lake is 5 miles long, about a third of a mile wide, and 190 feet deep. We stopped in at the Visitor’s Center, which is perched at the summit of a cliff with a view of the lake and canyon. Then on to Norris Hot Springs. This was a random choice for us, as it split the distance between Dubois and Polson, Montana. This is a very small campground with nine RV sites next to a natural hot spring. The place already felt pretty funky/crunchy granola, but then we found we were there on a live music night. 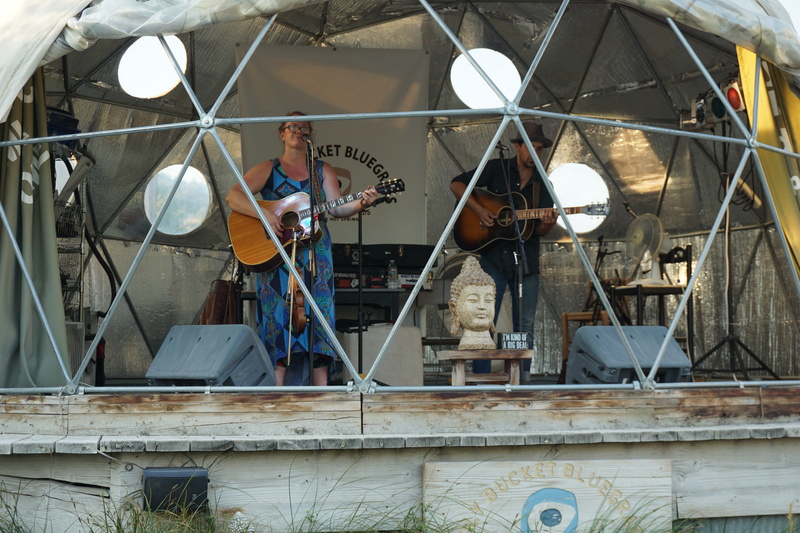 The Lucky Valentines played on the Holy Bucket Bluegrass stage, which is a geodesic dome tent in front of the pool. All in all, a beautiful if quirky stop on our way to Glacier National Park.